Here's the thing, I love Fall, a lot! I love crisp air and touch football at the park. I love the sound of wind blowing leaves down the street. I love boots and sweaters and amazing Fall sunsets. 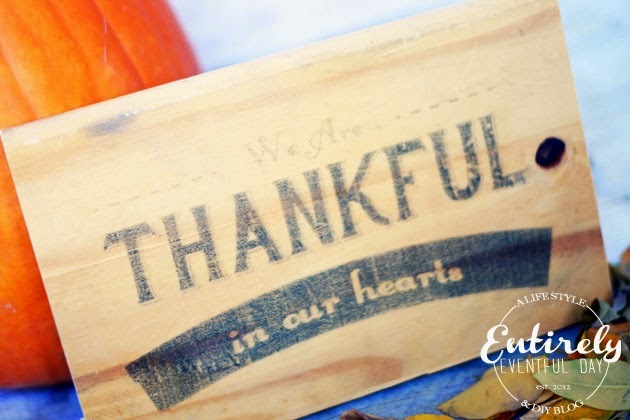 I also love the idea of celebrating gratitude... which is why I seriously love Thanksgiving! 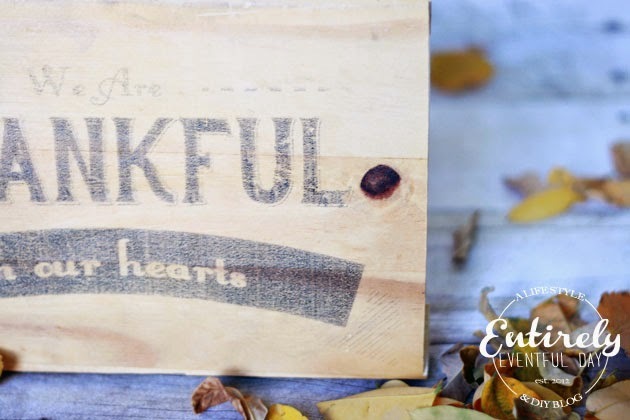 I have so many things to be thankful for... and to show it I created this wooden sign that I printed with my home printer! This project was originally posted on 30 Handmade Days. You need a piece of unfinished, smooth wood (mine is 10x6.5 inches). I also used parchment paper and my home ink jet printer (this is the kind of parchment paper I used ). 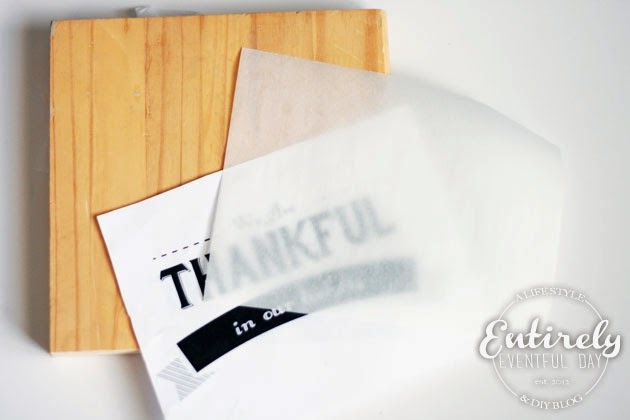 First, cut the parchment paper to the size of an 8.5x11 inch piece of paper. 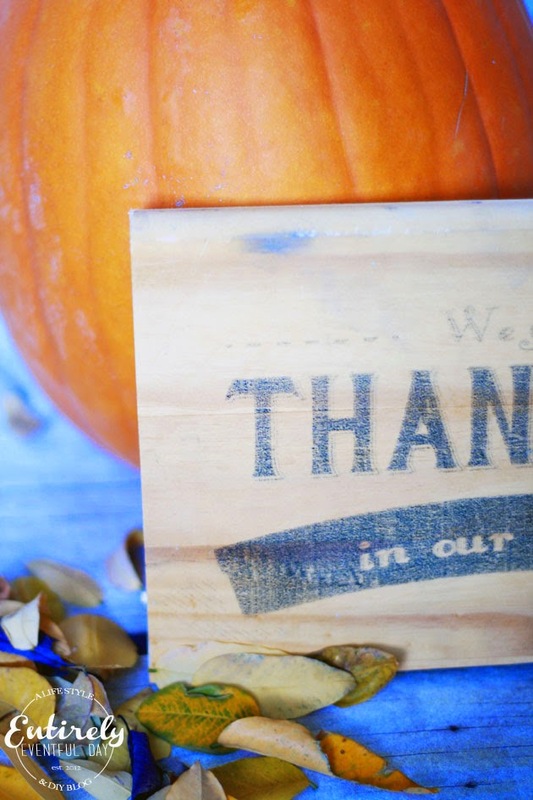 Print the inverse image of the printable on your parchment paper. Once it's printed you have to act quickly and apply the transfer while the ink is still wet. 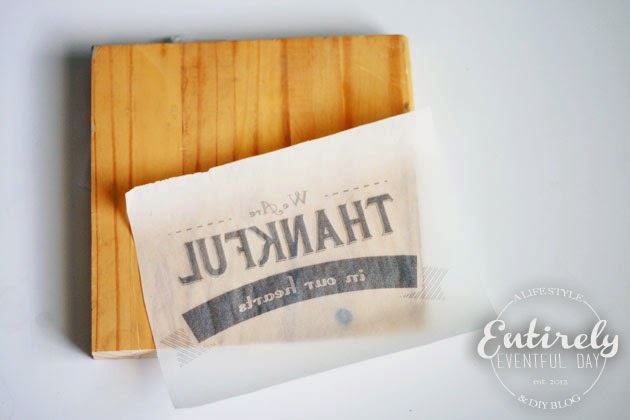 Use a smooth object, like a credit card, to apply pressure to the parchment paper and evenly transfer the ink from the paper to the wood. You may have noticed that I trimmed my wood piece after I applied the transfer. I wasn't sure what size I wanted it to be initially. But, like I said earlier, it ended up being 10x6.5 inches. I added a coat of clear finish spray paint (like this one) . 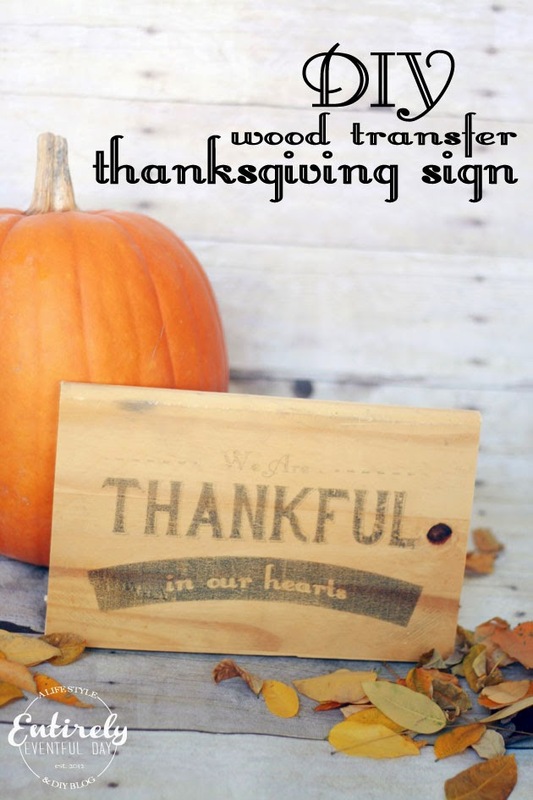 Let it dry and there you have it... a super adorable Thanksgiving sign. I am planning on using mine in a Thanksgiving-themed center piece. 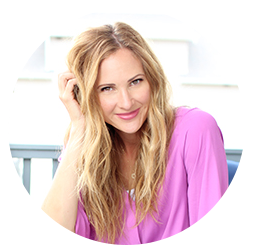 I hope you try this project... there are just so many possibilities!